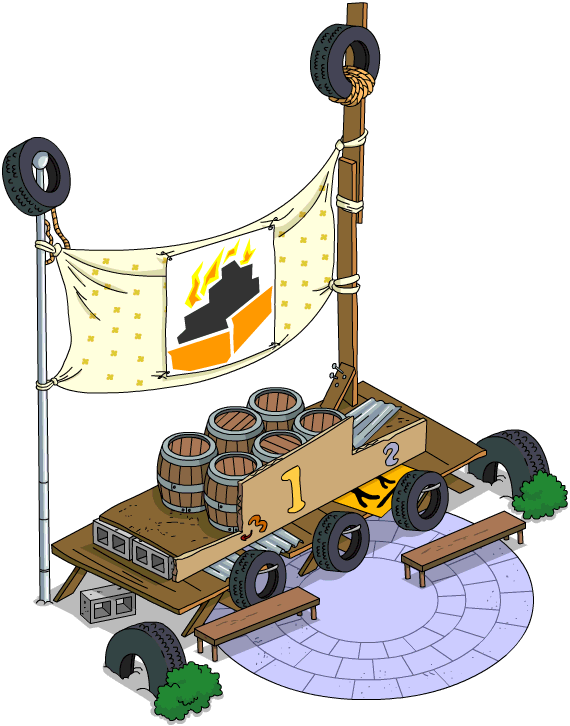 A new event just hit and it’s the Olympics at Springfield. What does Lisa have in mind for it? Will lazy Springfielders partecipate? 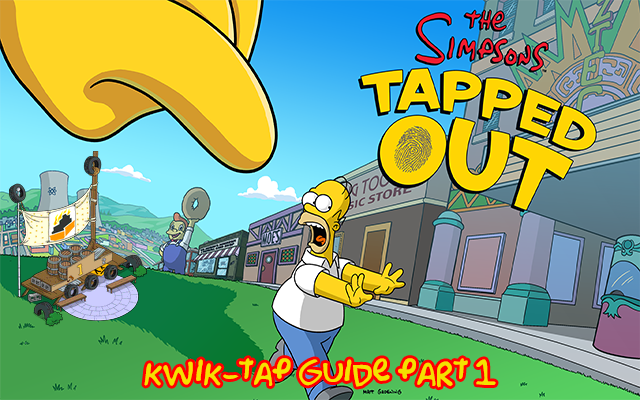 Find out right after the jump in the part 1 of the Springfield Games Kwik-Tap Guide. The new even starts just 2 days before the Olympics does and Lisa wants to go but Homer got a better (?) idea! 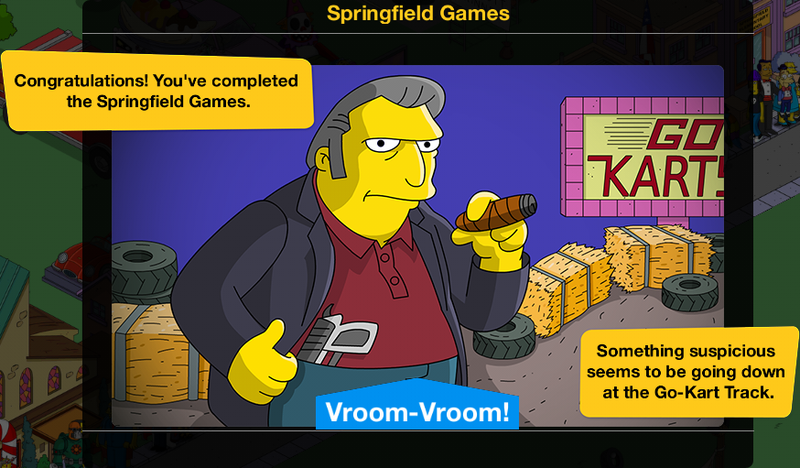 The Springfield Games has officially started and we’re ready to earn the prizes! 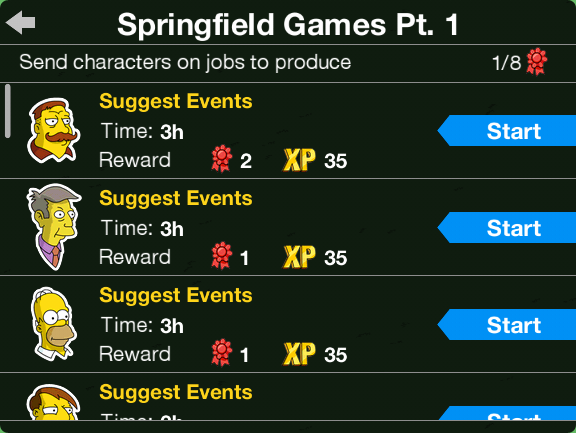 By sending characters to the jobs, you can earn Partecipation Ribbons. 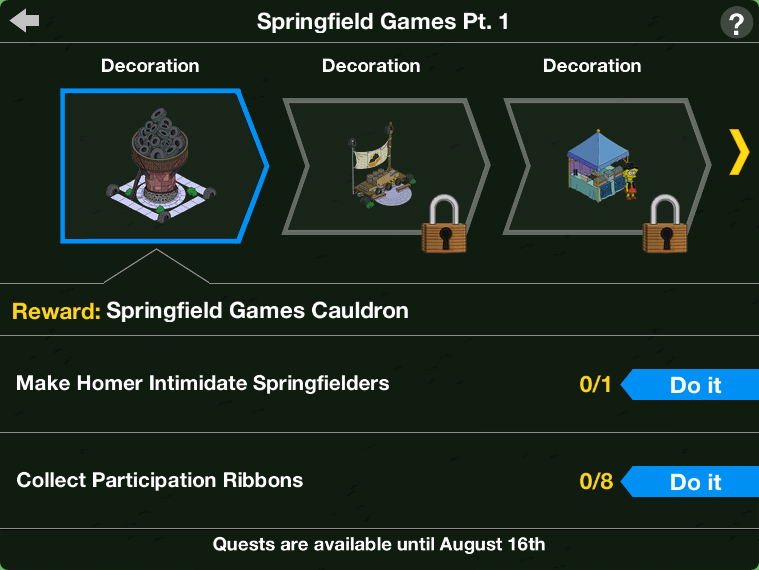 On the first part you can send all Springfielders to do it. 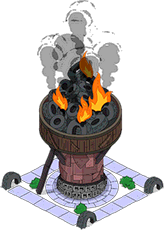 If you send them apart, you may get a headstart on part two too by collecting the first and then collecting the rest after the part 2 quest starts. Upon placing the Springfield Pin Stand, A Prickly Obsession will start, that will earn you a new costume for Lisa, as well as a new character! While collecting pins with Lisa and Fatov, you can also continue the main questline. 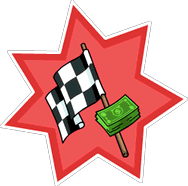 After part 6, the Go-Kart Track will transform in a building where you can earn cash and experience just like Springfield Downs: Betting on races, Go-Kart Track’s races! 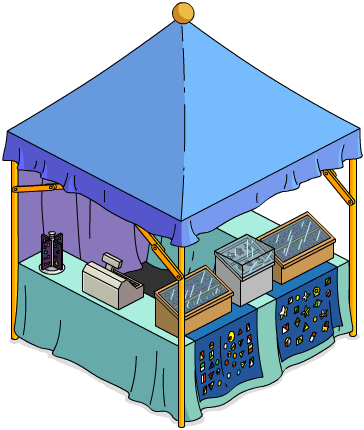 Why is it when you complete the monorail sections to gain tracks etc, it says it puts into your inventory – but it doesn’t !!!! I was meant to get two lorries and four donuts – but received nothing!!! Anyone else have this problem? A lorry is what English call a truck which is what Australians call a big wheeler or a semi trailer. Sorry homerville but the lorry picture is not the prize. 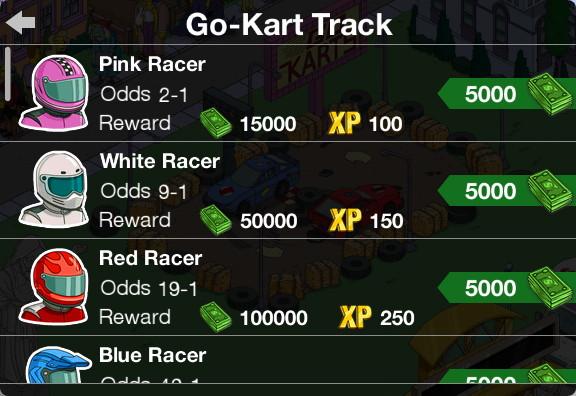 The prizes are displayed when you click on the trophy symbol. 4 donuts might have come from how much is might cost you to speed things up? 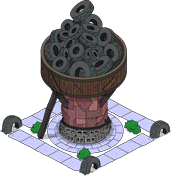 I’m not sure but the only donut prizes are 10 or 20 and I think you only get those if you already had the monorail stations from playing the original monorail event. Are we getting any new land for this new content or are we expected to cramp stuff so close together that our towns looks cramped and unreal! 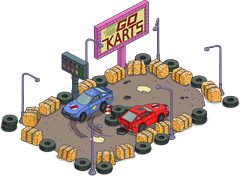 Donuts to spend, items to buy but no land! !